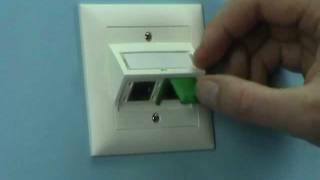 Easy Latch for RJ45 patch cords and consolidation point patch cords. Easy Latch releasing support and color coding to snap onto the patch cord strain relief sleeves. For an easier releasing of densely packed patch cords. Simple visual color coding of specific network services. Exchangeable and re-usable color coding.